We are excited to announce the public availability of SQL Server 2016 Express Edition in Windows Containers! The image is now available on Docker Hub and the build scripts are hosted on our SQL Server Samples GitHub repository. This image can be used in both Windows Server Containers as well as Hyper-V Containers. We hope you will find these images useful and leverage them for your container-based applications! Why use SQL Server in containers? Before you can get started with the SQL Server 2016 Express Edition image, you’ll need a Windows Server 2016 or Windows 10 host with the latest updates, the Windows Container feature enabled, and the Docker engine. Please find the details for each of these requirements below. Windows Server 2016: You can start by downloading an evaluation copy from the TechNet Evaluation Center. Please make sure that all the latest Windows updates are installed, most importantly KB3176936 and KB3192366. Windows 10: You will need Windows 10 Anniversary Edition Professional or Enterprise. Note: if you are on the Windows Insider builds, make sure that you are using build 14942.1000 or higher to avoid an issue with the Docker run command in older builds. Below are the Docker pull and run commands for running SQL Server 2016 Express instance in a Windows Container. Make sure that the mandatory sa_password environment variable meets the SQL Server 2016 Password Complexity requirements. 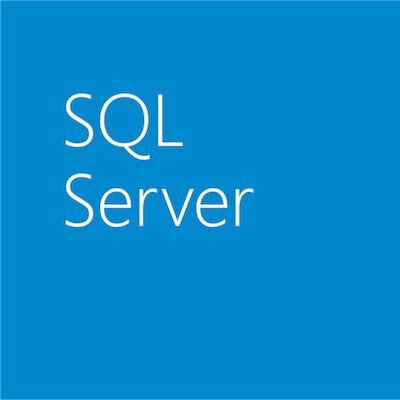 An easy way to connect to the SQL Server instance from inside the container is by using the sqlcmd utility. First, use the docker ps command to get the container ID that you want to connect to and use it to replace the parameter placeholder ‘<DOCKER_CONTAINER_ID>’ in the commands below. You can use the docker exec -it command to create an interactive command prompt that will execute commands inside of the container. You can connect to SQL Server by using either Windows or SQL Authentication. One of the ways to access SQL Server 2016 from outside the container is by installing SQL Server Management Studio (SSMS). You can install and use SSMS either on the host or on another machine that can remotely connect to the host . This is the same port number that was specified in the docker run command. If you used 1433 you don’t need to specify the port. If you want to specify a port to connect to you can add it to the end of the server name like this: myserver,1433. The username is ‘sa’ and the sa_password that was used in the docker run command. You can get the host’s IP address by using the ipconfig command from a PowerShell or command prompt window. This is the same port that was specified in the docker run command. If you used 1433 you don’t need to specify the port. If you want to specify a port to connect to you can add it to the end of the server name like this: myserver,1433. Note: Depending on your configuration, you might have to create a firewall rule to open the necessary SQL Server ports on the host. Please refer to this article for more information regarding container networking. Please refer to this link for all SQL Server 2016 features that are supported on a Windows Server Core installation. Check out this blog post by Alex Ellis, Docker Captain, on how to use SQL Server 2016 Express Edition in a Windows container as part of an application development and test environment on Windows 10.